We help companies develop engaging web experiences to draw in potential customers, generate leads, and manage their communications with existing customers. Additionally, we develop custom business management tools to help companies automate redundant and time-consuming processes to save time, build efficiency, reduce errors and increase profitability. Let 3DD Help You with Your Web Needs! As professional Kentucky web developers, we create dynamic web experiences that will engage your customers, build trust in your business, and deliver results. Through our internet marketing efforts, we can help drive traffic to your website through a variety of avenues including: search engine optimization, newsletter email tools, content management, E-commerce development, RSS syndication, organization memberships and more. 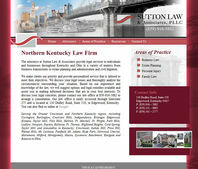 3rd Dimension Design services clients throughout Kentucky, Ohio, Indiana and Tenessee. These locations include: Lexington, KY; Louisville, KY; Cincinnati, OH; Frankfort, KY; Bowling Green, KY; Northern, KY; Central, KY; and throughout the entire state of Kentucky. 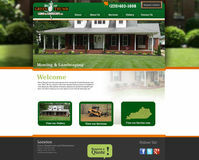 Green Thumb Landscaping has a new website thanks to 3rd Dimension Design. The lawn and landscaping company is located in Campbellsville KY and support the surrounding area. They provide full landscaping services including mowing, designing, turf maintenance as well as snow removal in the winter months. Check out Campbellsville KY's Yard Mowing Company: Green Thumb! 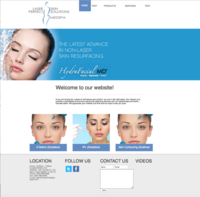 Skin Solutions Med Spa has just launched a redesign of their website. The redesign is responsive and allows viewers to view the site easily independent of the screen size. 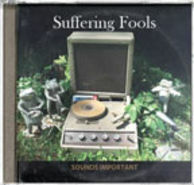 Suffering Fools new record Sounds Important was just designed by 3rd Dimension Design. The record art had a 4 page booklet, tray, CD and back cover. The art was created using photos the band took of novelties that are associated with each song on the record. The art direction was to take these pieces - many involving old record players and such and try to wrap it into a package simulating an old record and sleeve. Click here to view the art work. Suffering Fools has just released its sophomore record, Sounds Important. The record features 14 songs of indie geek greatness. The songs range from Beatlesque harmonies to more experimental genres like electronica. For just a taste of musical eclectricty visit Sufferingfools.com. Folk and Awesome Online Boutique has a new logo designed by 3rd Dimension Design. The logo has folk art aspects that are both eye catching yet instantly recognizable as a folk inspired illustration of a pig.